BLADENSBURG, Md. — The Fourth Circuit Court of Appeals has ruled that a Maryland veterans memorial in the shape of a cross violates the Establishment Clause of the U.S. Constitution because it “excessively entangles” the government with religion. “We hold there is excessive religious entanglement in this case for two reasons. First, the Commission owns and maintains the cross, which is displayed on government property. 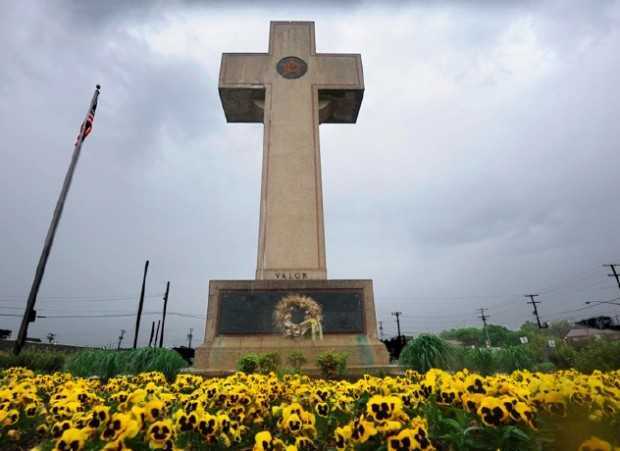 The Commission has spent at least $117,000 to maintain the cross and has set aside an additional $100,000 for restoration,” wrote Judge Stephanie Thacker, appointed to the bench by then-President Barack Obama. “Second, displaying the cross, particularly given its size, history, and context, amounts to excessive entanglement because the Commission is displaying the hallmark symbol of Christianity in a manner that dominates its surroundings and not only overwhelms all other monuments at the park, but also excludes all other religious tenets,” she opined. In Nov. 2015, U.S. District Judge Deborah Chasanow ruled that the monument is constitutional because it is used for nonreligious purposes and is meant to honor war vets rather than promote any religious message. AHA then filed an appeal with the Fourth Circuit Court of Appeals, which ruled 2-1 on Wednesday that the memorial is unconstitutional. It said that because there are no other religious symbols in the park, the memorial sends the message that the government favors Christianity over other religons. “I conclude that a reasonable observer would understand that the memorial, while displaying a religious symbol, is a war memorial built to celebrate the forty-nine Prince George’s County residents who gave their lives in battle,” he wrote. AHA applauded the ruling, stating that the monument’s message is too narrow. But the religious liberties group First Liberty expressed deep concern and vowed to appeal.